Stunning! 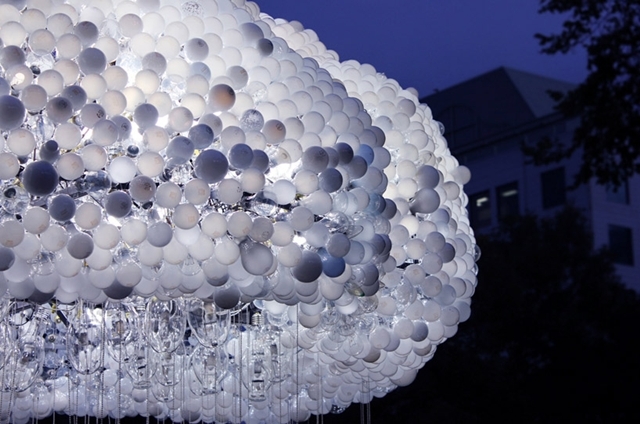 I fell in love with this creative art made out of 6000 light bulbs!! 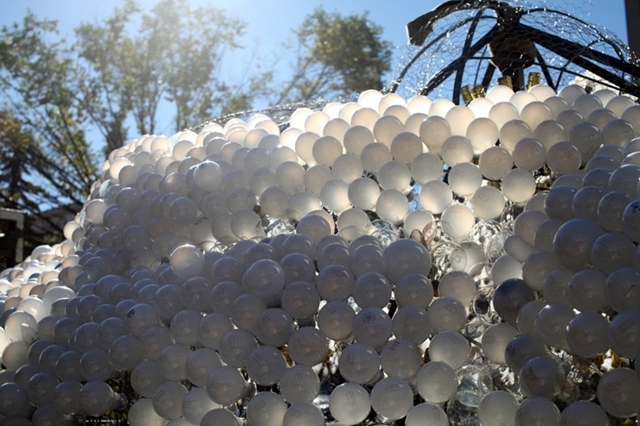 Out of which, 5000 are actually old burnt out bulbs donated by the public. 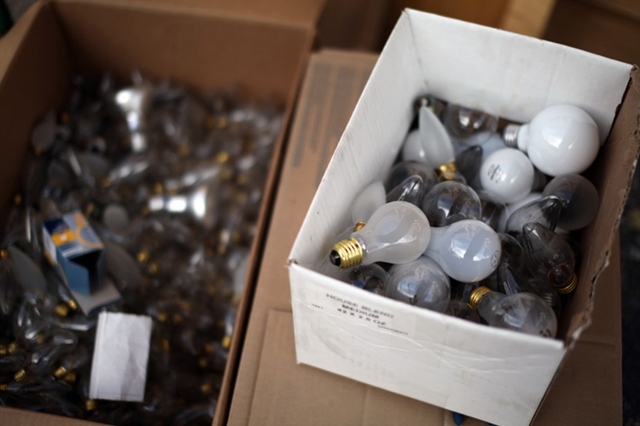 Why burnt light bulbs you asked? 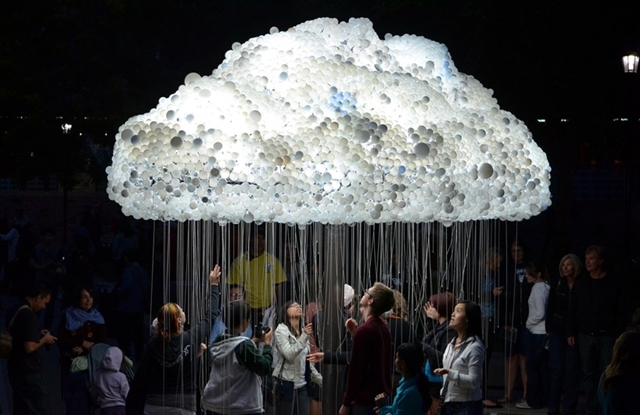 CLOUD is an interactive sculpture made of steel and light bulbs. 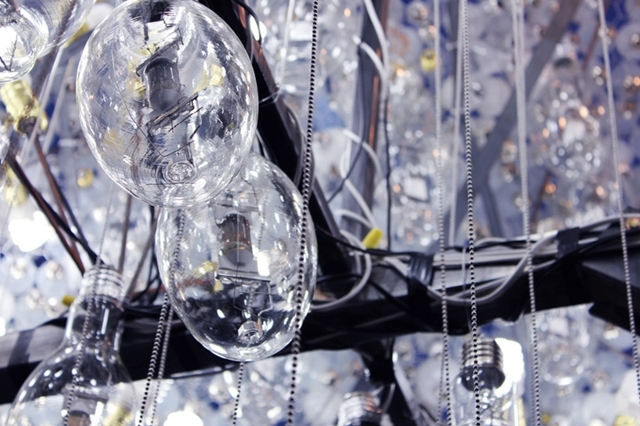 Here’s the thing – only one in every six light bulbs actually needs to glow. The rest are purely ornamental. 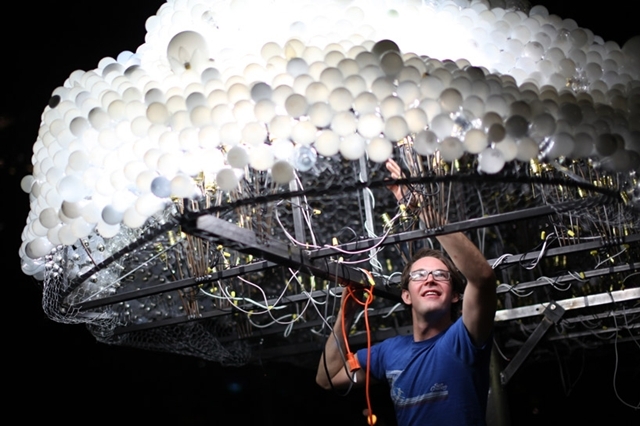 Why waste fresh light bulbs when there are more than enough burnt out light bulbs to spare? Pure genius if you ask me. 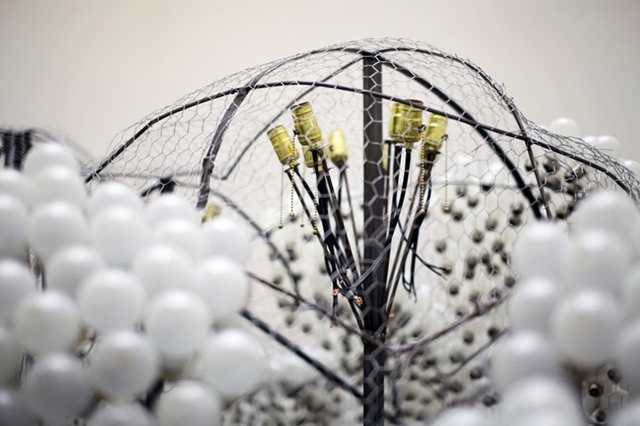 These burnt bulbs are put into creative use and by turning trash into treasure and waste into art. 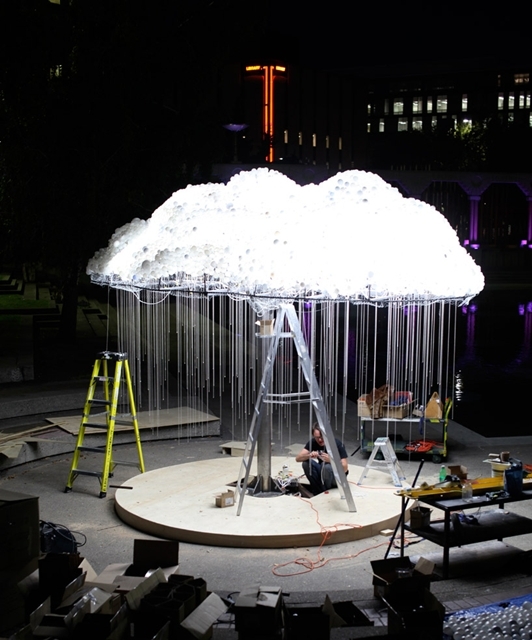 CLOUD is a large-scale interactive installation by Caitlind Brown for Nuit Blanche Calgary. 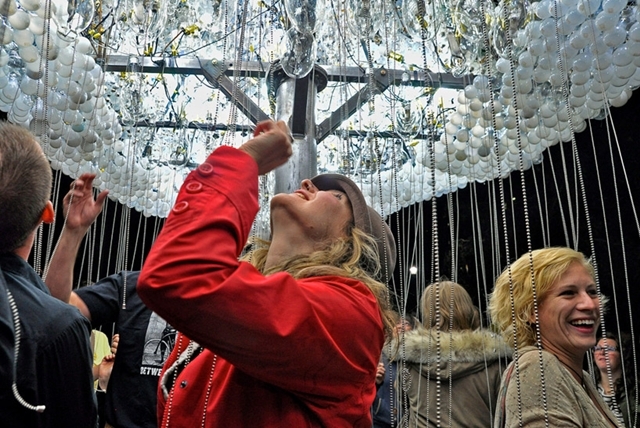 Nuit Blanche is an all-night contemporary arts festival occurring annually in a handful of major cities around the world. 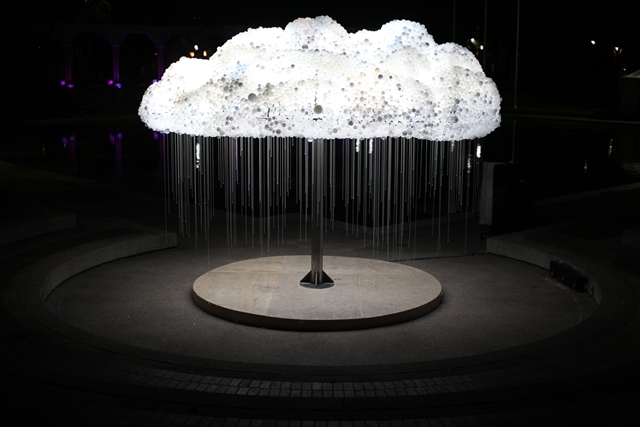 CLOUD asks the viewer to participate by experiencing the work first hand – standing beneath the structure and pulling lights on and off, creating the flickering aesthetic of an electrical cloud. 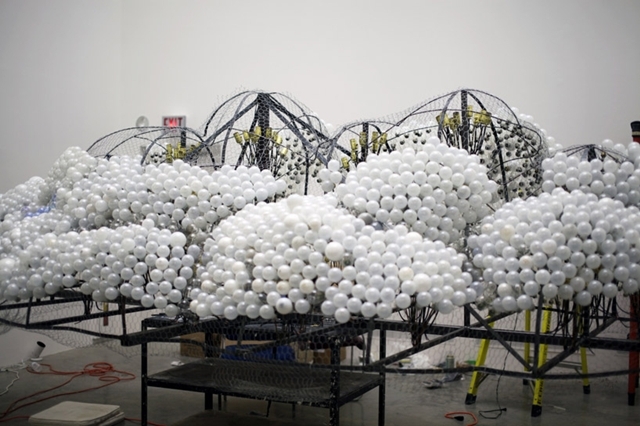 Wow, this is seriously amazing! So cool looking! i know right callmejagi! its amazingly stunning! That is amazing, and I like the way the bulbs are somewhat mellow/not too bright, that way you can get close without being blinded lol. But I’d had to be the one paying the electricity bill! hahahahaa dd u are so funny. 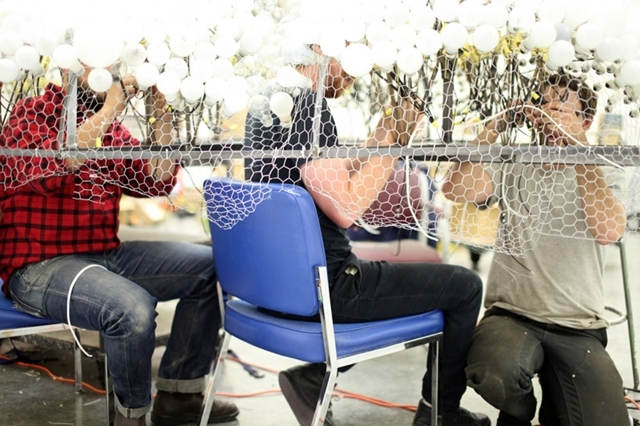 yes, this is amazing. gorgeous piece of art.